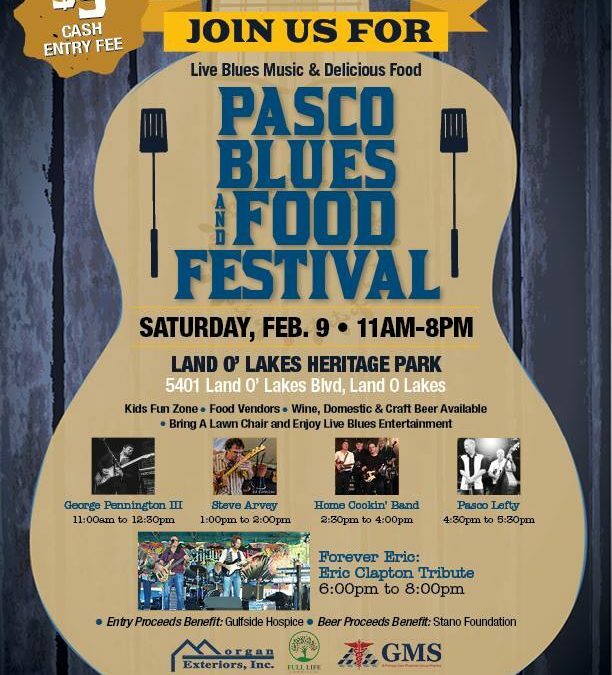 Come join Family-Friendly Tampa Bay at the Pasco Blues & Food Festival on Saturday, February 9, 2019! We are excited to partner with SimplyEvents for an array of Live Entertainment from local artists, great food from around the bay and family fun for all ages. Local Blues musicians will be on stage all day so bring your lawn chairs or enjoy seating while it lasts. This is a great chance to meet your neighbors, get involved in the community and enjoy the fun. Visit Family-Friendly Tampa Bay’s booth at the Kids Fun Zone. There will be bounce houses games and prizes from us. Admission Fee: $5, Free for Kids 12 and under. You can purchase tickets here. For more information, please visit the Pasco Blues Festival Event page.